Best Alcove Bathtub Reviews for a Relaxing Bath Time: Top 10 Choices! Manufacturers are making use of various technologies to develop innovative bathtubs in order to enhance your bathing experience. 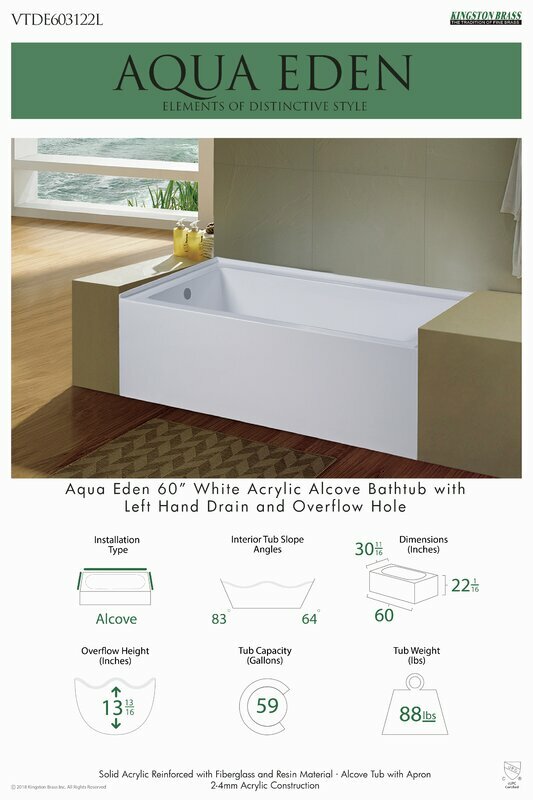 Exceptional bathtubs, like the alcove tub, will provide you with a soothing and relaxing bathing experience. In this article, we focus on some of the best alcove bathtub options to choose from. We also break down the pros and cons of using one, so you’ll have an informed buying decision. Enjoy a bath with a loved one in this Aqua Eden collection. With a capacity of 55.6 gallons and 60 inches, this tub offers the space and luxury to soak for a relaxing bath. Constructed from solid acrylic, this tub is both durable and reliable. Find both luxury and elegance with this bath from the Archer lines. 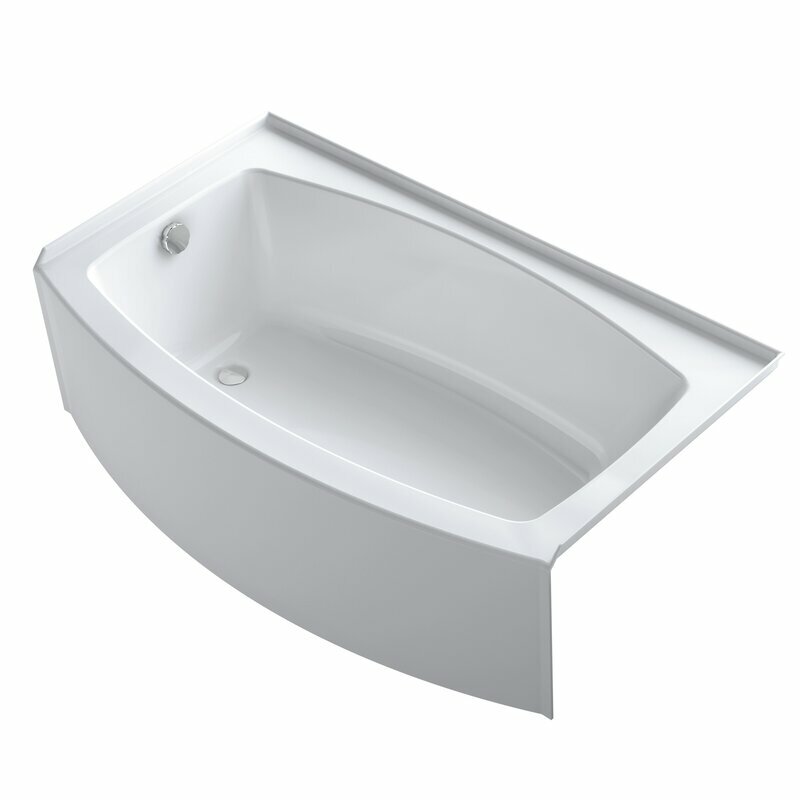 Designed from the traditional craftsman furniture, this bath offers curved bases and beveled edges for a clean look. Constructed from acrylic material, its lightweight design makes the installation easy. Do you want to experience a luxurious bathing experience in the comfort of your small bathroom? 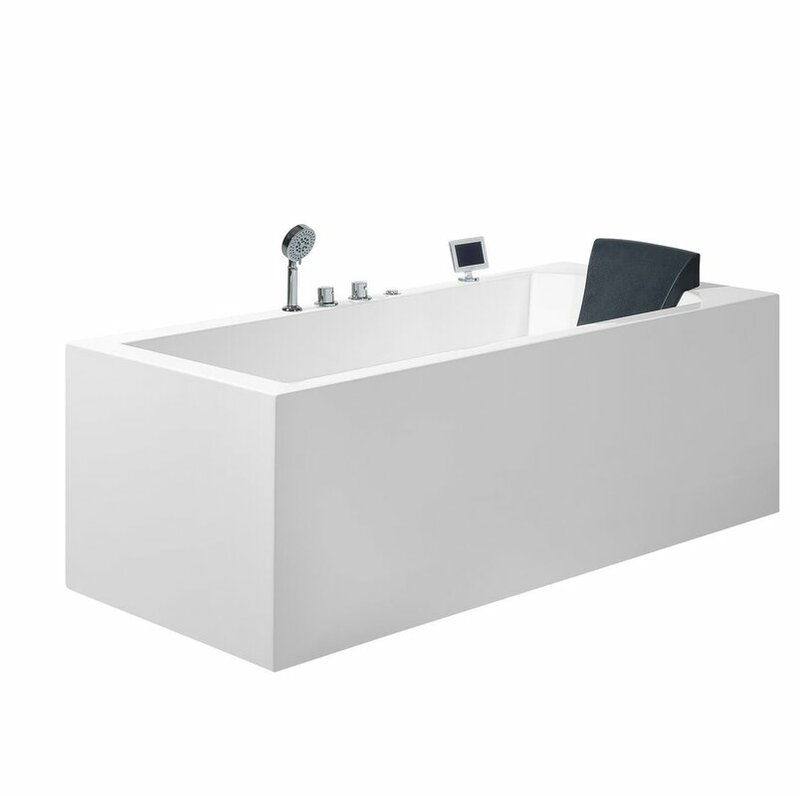 The Expanse bathtub comes in a space-saving and compact design while providing adequate room to soak. Its modern design matches well with most bathroom fixtures to give your bathroom a stylish look. Soak in the luxury of this bathtub that is made from enameled steel and smooth glass finish surface with no imperfections for bacteria to stick on. With a water capacity of 35 gallons, you can use this bathtub both for a tub or shower. It also offers comfort with its sloped backrest. 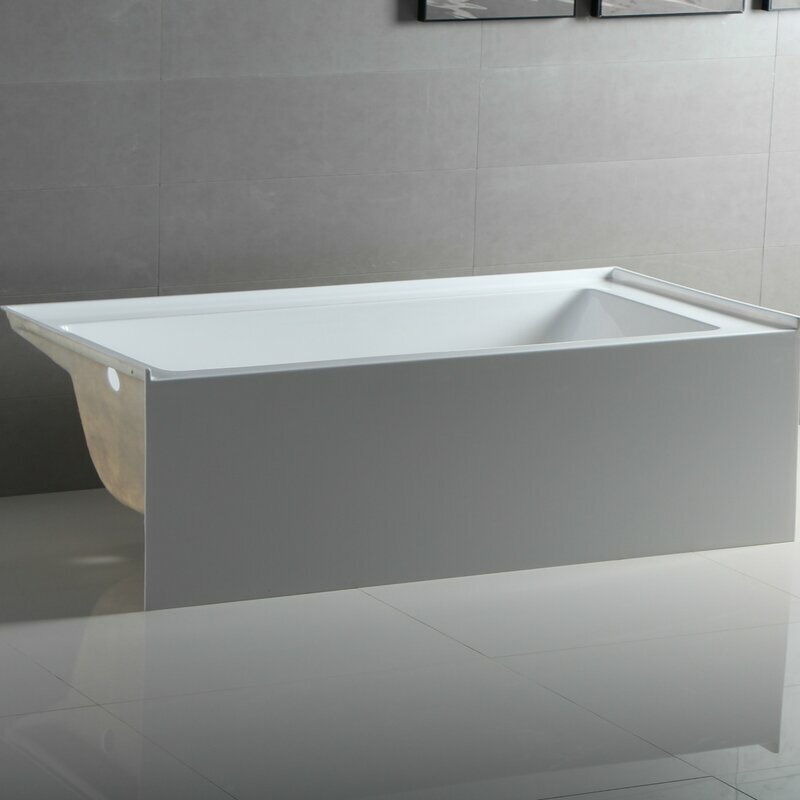 This 54’’x30’’ alcove soaking bathtub offers the warmth and tranquility for relaxation after an exhausting day. Constructed from fiberglass acrylic, this product can be used as a shower/tub combination. It also features adjustable legs and a back to wall design. 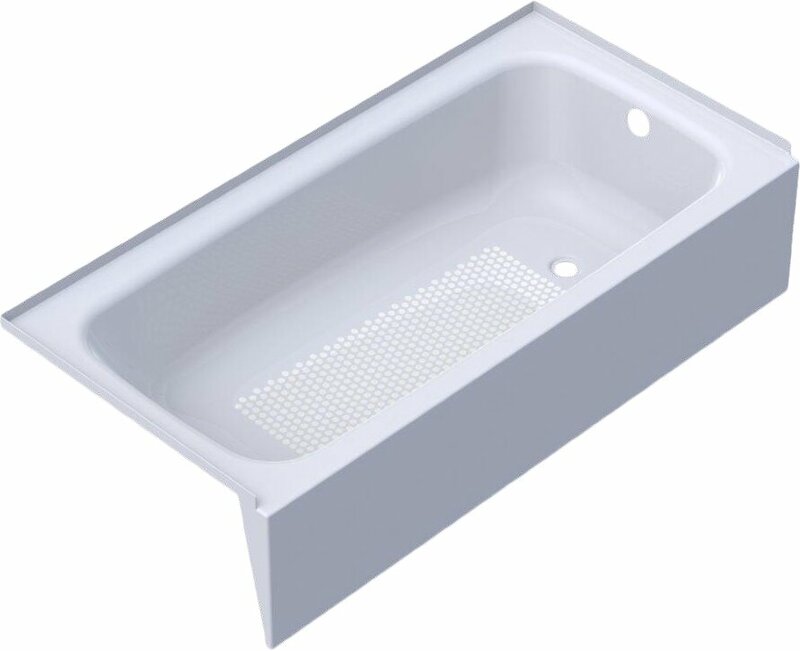 This American Standard bathtub is constructed with Americast material for ultimate sturdiness and durability. For comfort and convenience, this bathtub is designed with a lift and turn drain stopper, integral lumbar support, a wide luxury edge for holding accessories, and beveled headrest. With a molded tile flange and apron, this Americh Turo soaking bathtub has a sensitive ergonomic design. This tub is made from durable acrylic material and has a glossy hardware finish. Treat yourself to this American Standard bathtub with hydromassage. 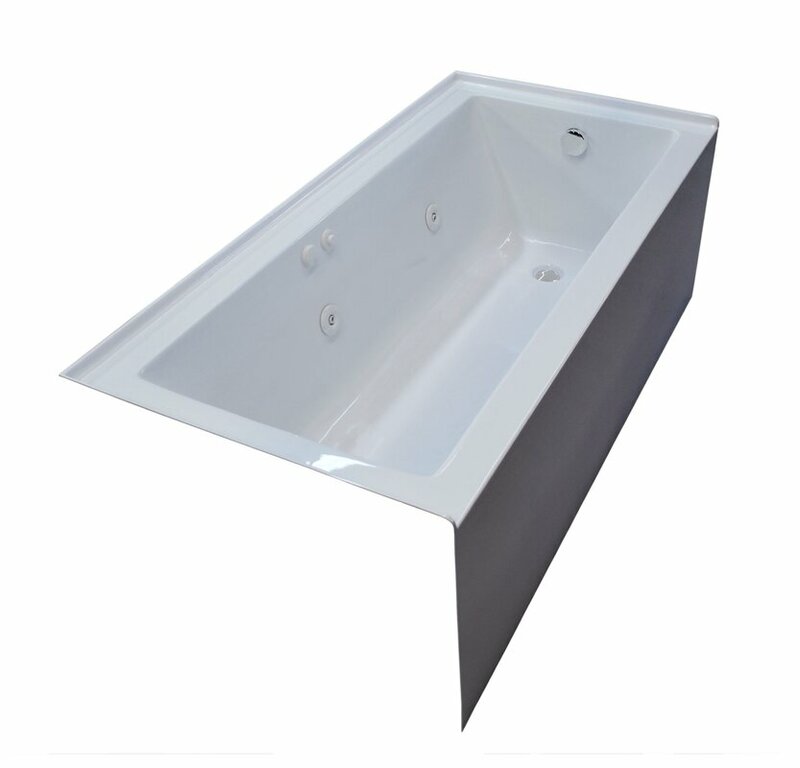 This integral apron bathtub has a colonial design that complements most casual bathrooms. The tub is designed with a hydromassage system that features six adjustable jets, a 1.0 horsepower motor, and 2 air volume controls for ultimate comfort. Get that luxurious soaking experience with this colony bathtub. The castle bathtub is the pinnacle of comfort and convenience. This simple yet gorgeous whirlpool bathtub offers a one-piece skirt finish that complements the décor of any bathroom. You will also love the high gloss white finish and acrylic surface. With its friction heater that prevents heat loss, you will be a guaranteed a comfortable and warm bathing experience. 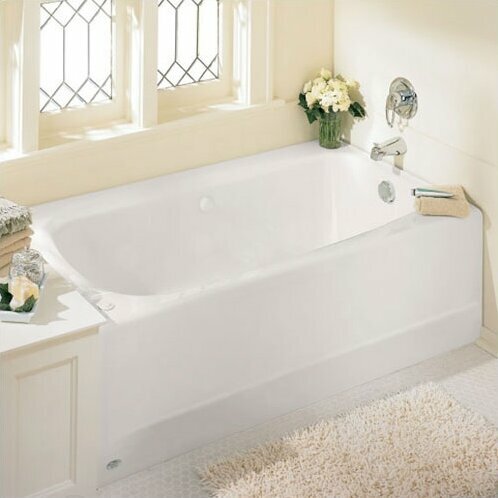 Take a relaxing bath in this tub that features durable acrylic and fiberglass design. This acrylic bathtub is equipped with a hydromassage system that features 19 whirlpool jets 6 water-flow settings to customize the water action. It also features a slipper/back to wall design, as well as chrome hardware finish. Bathtubs have different personalities that make them stand out from the rest. Hence, it is vital to understand the pros and cons of each tub before making any buying decision. Alcove tubs, being one of the popular styles of the bathtub, also have their advantages and drawbacks. Below are pros and cons of the alcove bathtub design. Alcove tubs are the best bathtubs for small bathrooms as they come in a small and compact design. Rectangular in shape, the alcove tub is installed adjacent to three walls so that one side of the tub is left accessible. 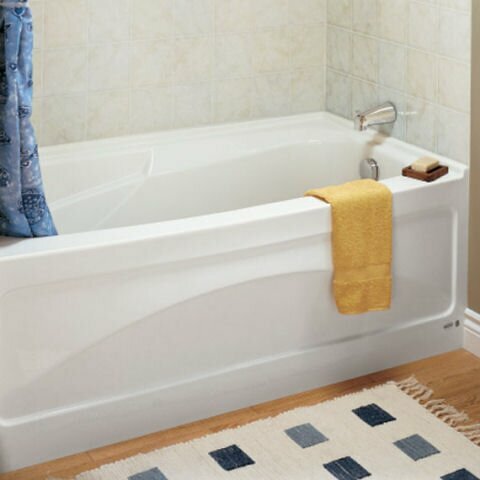 Besides, these tubs only need a back corner and not a wide open space like other bathtubs. This is a big benefit, especially if you have inadequate space to place a soaking tub. This is another factor that makes alcove bathtubs more luxurious than their counterparts. You can choose to equip your tub with accessories such as hydrotherapy and chromatherapy lighting. The underwater LED lights can change colors to suit your mood. Other tubs also come with jets and bubbles with multi-speed settings for customizable water action. Other accessories to pleasure your pond include music and digital controls. Many people choose alcove tubs because they offer plenty of storage space. This is because unlike a drop-in bathtub that requires an open area. What’s more, the design of these tubs allows them to double up as tubs and showers. Alcove tubs are far cheaper than most bathtub designs like the cast iron bathtub. Tubs are constructed from many different materials, and this can have an impact on their price. 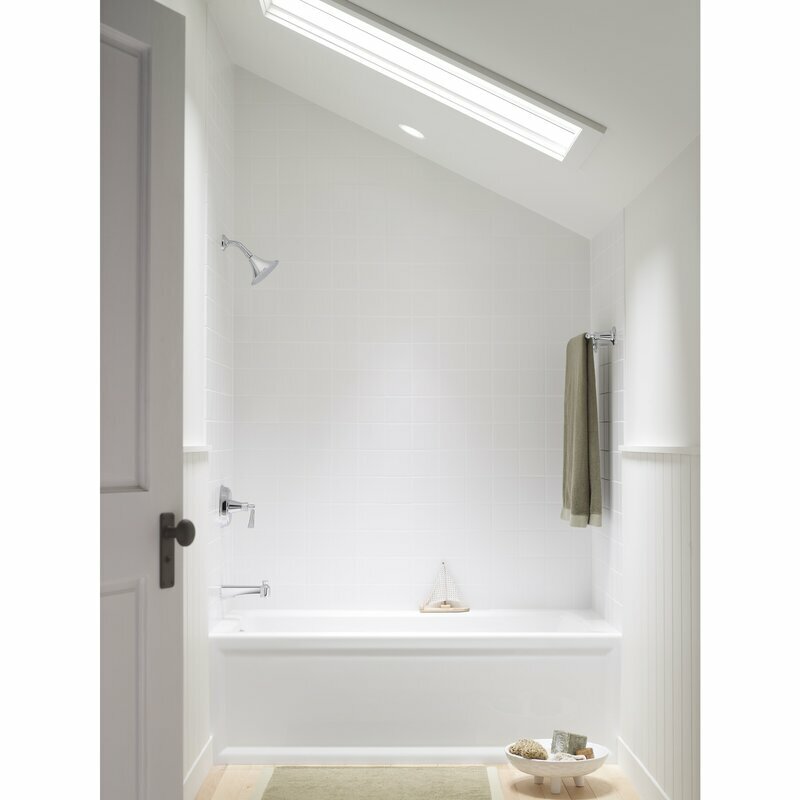 Therefore, if you are looking to replace your tub with a tight budget, then you probably should choose an alcove tub. However, it’s important to note that the price of the tubs will depend on the features you choose. For instance, if you choose to add heated lights and digital controls, the price will go up. Apart from the benefits that Alcove tubs offer, they also have a downside. 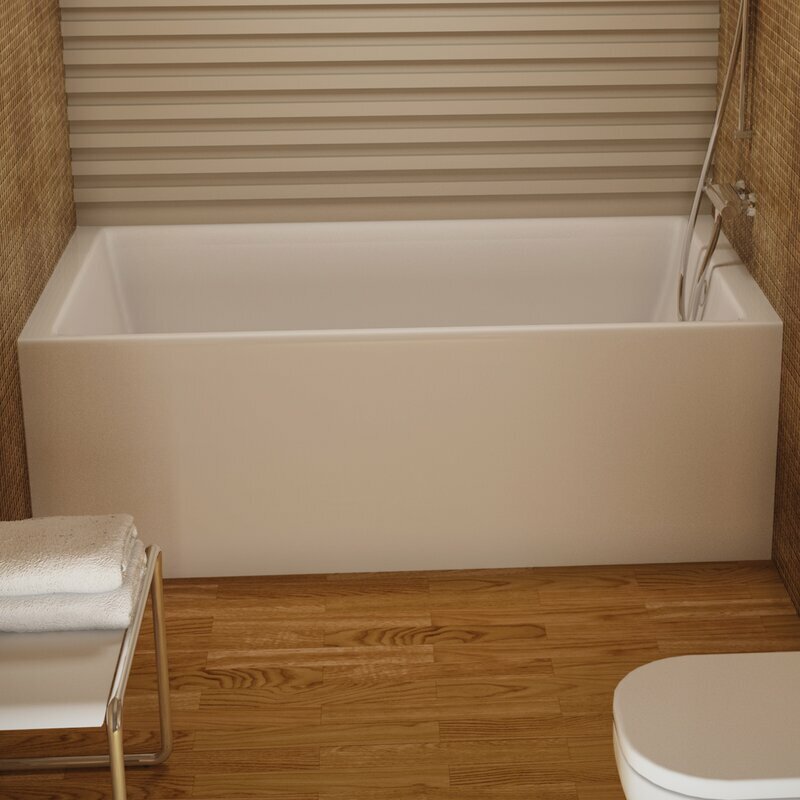 One notable downside of alcove tubs is that they are less appealing as compared to drop-ins and freestanding bathtubs. Based on the above reviews of the best alcove bathtub, we are convinced that the Cambridge 60’’ x 32’’ Alcove Soaking Bathtub tops them all. With its unique design, sturdy Americast construction, extra wide edge for storage, ADA compliant non-slip surface, and a deep soak drain for that ultimate soaking experience. Bathtubs are a sure way to get clean while having a relaxing and soothing experience. The right type of bathtub that suits your lifestyle will add to your bathrooms curb appeal. However, choosing the perfect bathtub style can be daunting. Hence, ist important to compare the features of the various alcove bathtubs so that you can identify one that suits your needs and budget. That is how we came up with our comprehensive review of the best alcove bathtub. Do not forget to share your thoughts on this article.